Out of T1 and Riding STRONG! Cyclist at the Scituate Duathlon in Scituate, MA. 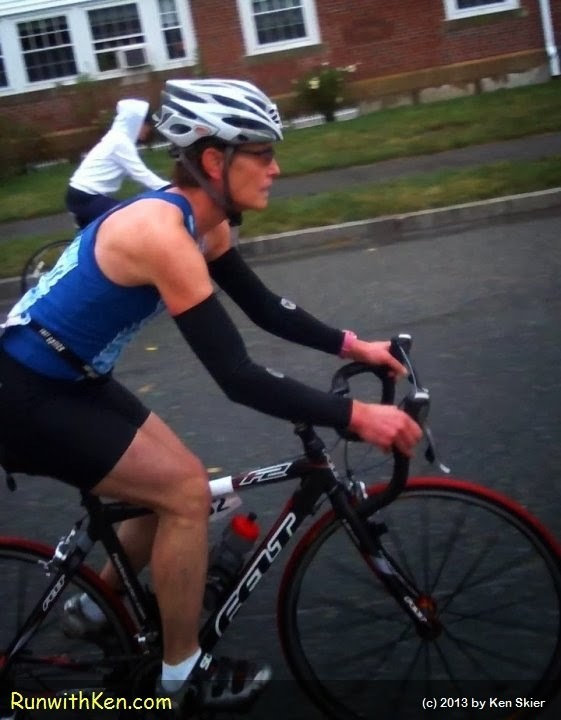 I was on my bike, cycling in the duathlon when this cyclist passed me. What really strikes me is her focus...her concentration.